Save mind map files in any directory – including iCloud Drive. Open mind maps via “Mind Map | Open”. Open mind map files via Finder. 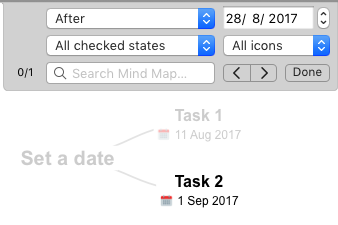 Mind maps opened via Finder or “Open” are shown in the Files tab. 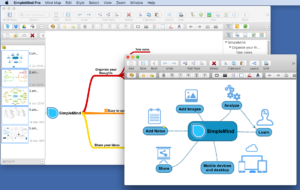 AppStore edition: Mind Maps in Files tab do not support linking to documents or mind maps. 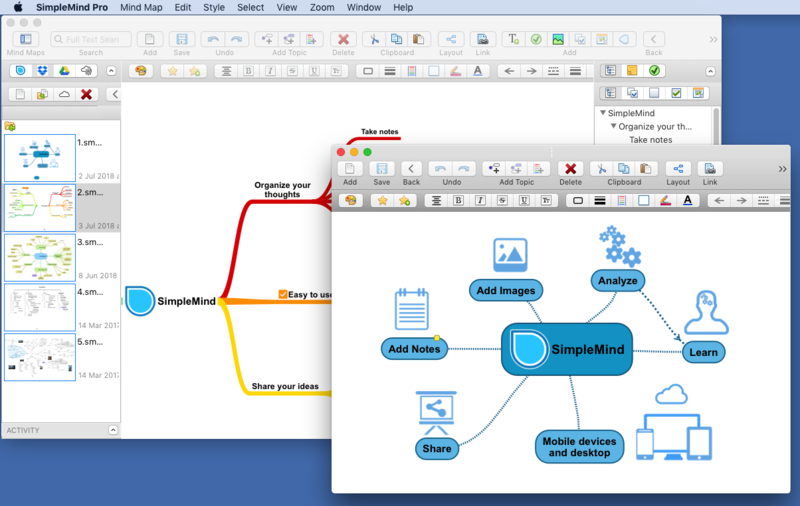 SimpleApps edition: Mind Maps in Files tab behave like in a cloud and have full linking capabilities. Enable Dark Mode, even when MacOS is light, via Preferences | General. New style sheet “Natural+Colors on Black”. New command Checkboxes | Reset state – checkboxes are unchecked, progress bars are set to 0. Improved display in Image Preview. Version 1.21.1: released 14 September 2018. Fix for Google Drive sign in problem. 坚果云 – Nutstore cloud support added. Maximum image thumbnail size increased to 480 pixels. Press Alt-key to force scrolling rather than moving elements. This can be used when an image leaves no empty space to scroll. Allows Drag-Drop on collapsed topics. Hide Inspector Cmd+0 replaces Toggle Inspector Cmd+Shift+I. Animated scrolling (outliner, search, spell check etc). Working around Dropbox time outs when synchronizing. Order Up (Command+PageUp) reconnects the selected topic to its parent parent (grand-parent). drop an image on a topic to add image as floating image, embedded image or icon. drop an image in empty space to add a floating image or a new topic with an embedded image. drop Text to add a child or central theme. Markdown text markup commands via main menu Style | Font (Bold, Italic etc). Outliner shows dates and has a filter to show only topics with a date set. Click date icon to change date. 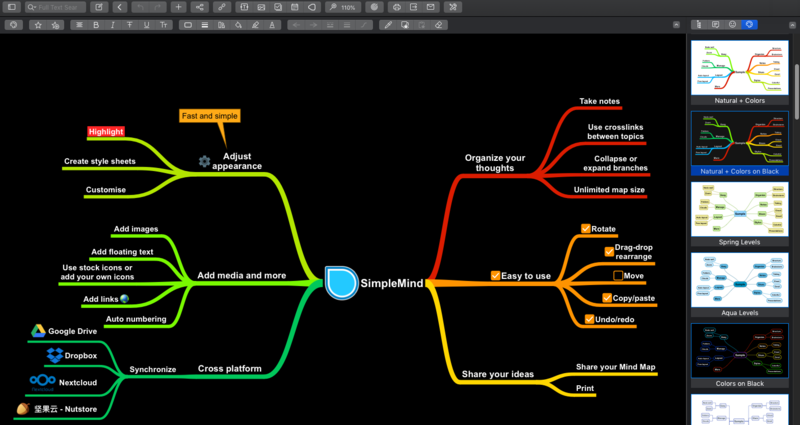 Import Mind Map added to main menu. 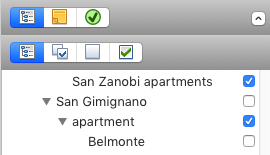 Finder-like sorting in Dropbox and Google Drive listings. Bug fixed for navigation links containing #. Bug fixed: forcing portrait orientation in outline generation. Print or export the outline. Click image to see the .pdf. The font used in Print / Export Outline is adjustable in Preferences | Fonts. Optionally disable markdown based rich text in Preferences | General. Version 1.16 requires Mac OS X 10.10 Yosemite or newer. Make topics and labels underline or strikethrough (via font style). (Backward) Delete deletes the selected element, and no longer navigates to the parent element. Outliner – in the Inspector panel (on the right), displayed in the image below. Outliner synchronizes with the selection in the editor. Also useful when Searching in the Mind Map. Use drag & drop in the outline to reorder topics. Keyboard shortcuts for Show Outline ?1, Show Note ?2 allow fast switching between topics in outline and note. Paste Text as List and Import plain text .txt files. 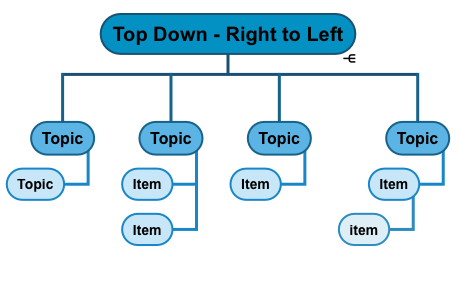 Each new line creates a new topic, leading tabs are interpreted as hierarchy level. “Enable Snap Options” check added to Snap Options. Snap to guide lines and snap to grid are only active when this option is checked. Pressing ? (Command) while dragging a topic, temporarily inverts this option. This allows easy enabling/disabling the snap feature in specific cases. Removed “reorder topics” panel, reordering sibling order is now more conveniently done with the outliner. Layout Direction options (Auto, Left, Right, Top, Bottom, Manual) for auto layout modes. Snap to guide lines and/or grid, available from main menu SimpleMind | Snap Options. (Tinted) Collapsed and Hidden topic markers are clickable tools, also when the topic is not selected (see image below). 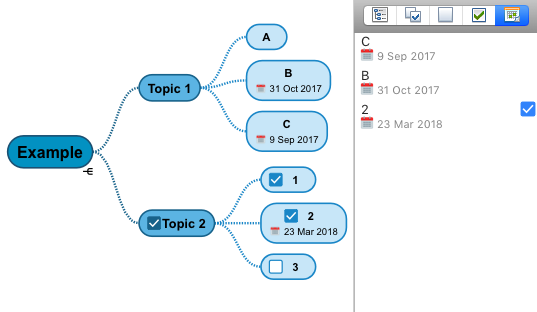 Option “Display Hide tool for topics” (in SimpleMind Preferences) shows hide tool for topic and moves collapse tool and collapse markers to opposite side (see image above). Tinted checkboxes: topic check boxes appear in the topic’s stroke color (see image below). 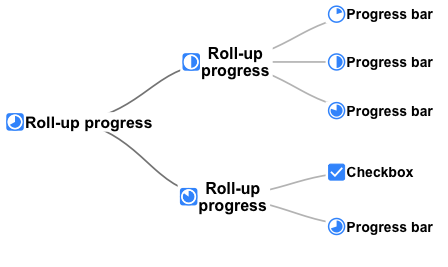 Change via Mind Map Style | Custom check box color. Defining (near) white as custom checkbox color results in plain black and white checkboxes. Pdf bookmark extraction: Import pdf, Convert .pdf to mind map, link to bookmark in pdf document, support for linking to “page=number” in pdf links. Note: App Store edition only allows importing .pdfs on Dropbox. Links to local files are not supported. Style sheet selector shows preview images. Use drag&drop to rearrange Topic order in auto layout modes. 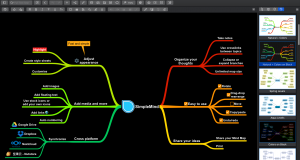 Default Layout Mode for new Mind Maps in Global Style Options. Keyboard navigation with arrow keys improved. Alt+Drag-Drop image adds the image as icon, Command+Drop adds it as Image – like before. Add as Image in Icon Picker: when pressed an icon will be added as floating image rather than as Icon. Select All Topics, Relations, Images etc. added to main menu.